LG Electronics has officially announced its portable printer for smartphone and tablets called LG Pocket Photo PD233. 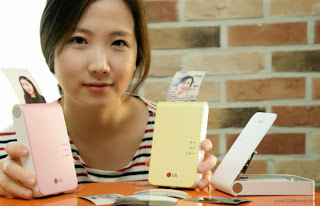 LG has officially unveiled the edition of their Pocket Photo printer. The new generation Pocket Photo is a lot slimmer and is shaping up as a nice companion for customizing, printing and sharing images on the go. 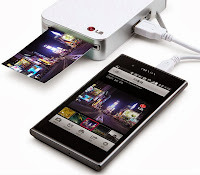 This latest model provides wireless connectivity with NFC and Bluetooth so that iOS and Android customers can print 2 x 3 inch images and notes from their mobile devices. The latest version also comes with enhanced editing and customization options. There is a new set of filter effects, using which you add frames and other such add-on to glorify your image.Lastly, the Pocket Photo uses ZINK technology that would supposedly eliminate the need of expensive ink cartridges. It uses varying levels of heat “to activate the necessary color-forming chemistry embedded in each sheet of paper”. 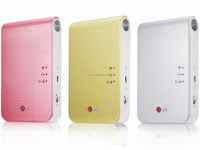 LG Pocket Photo 2 will be available in Pink, Jewel White and Lime Yellow color options. The gadget will go on sale first in China before hitting the stores across the globe in 2014.